Country living at its best! 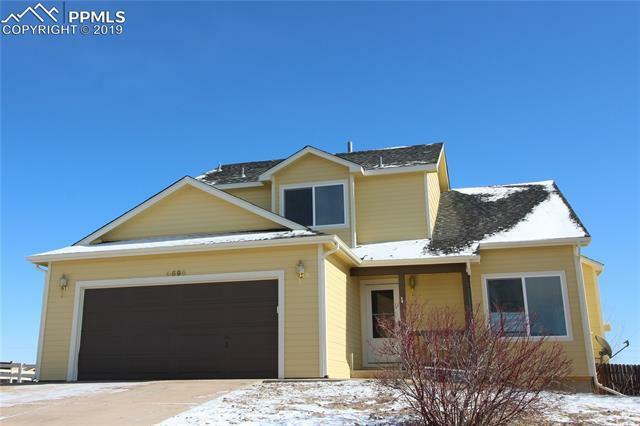 This beautiful two story home is located on a 1 acre/cul-de-sac lot in Woodmen Hills. The bright and open floor plan is perfect for entertaining. Living room features gorgeous new laminate flooring, vaulted ceilings, cozy fireplace and stunning mountain views. Large eat-in kitchen with island, chefâs pantry and walk-out to deck and yard. New carpets throughout upper level. Spacious master bedroom with picture perfect mountain views, two closets, and adjoining bathroom.